Become a Fremlin Walk Det-Egg-Tive this Easter. On Saturday 20th April between 12 and 4pm, help us find the missing eggs and you will win a chocolatey treat. 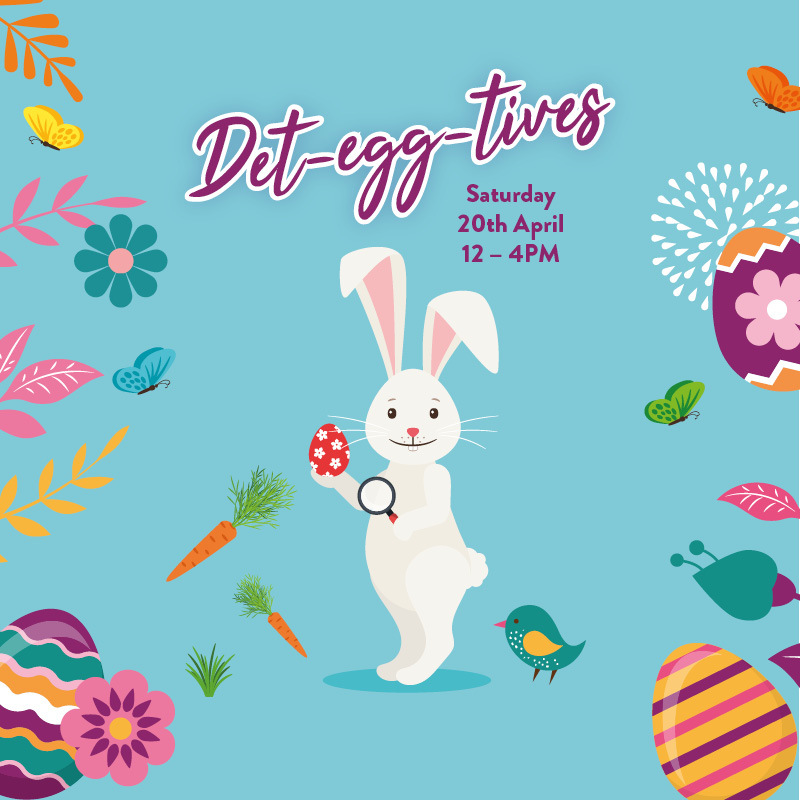 Pick up your agent ID form from the Det-Egg-Tive station, grab your bunny ears and magnifying glass then head out on the hunt with our Egg-cellent agent. Don’t miss the chance to win by snapping a selfie in the Easter peepboard. Share your pics with us on Facebook or Instagram @FremlinWalk and our fave pic will win a prize from our stores. Competition closes on Monday 22nd April at 23:59pm. T&Cs apply.